Commercial & Domestic Flooring.We walk you through your floor purchase decision step by step. We are proud to offer the highest quality service to Herefordshire, Worcestershire, Gloucestershire, Powys and the UK customers at very competitive prices. Transform your home interior with beautiful carpets. We have a wide range of contemporary to traditional carpets including underlay and rugs as well as vinyl, laminate and wood laminate flooring all at affordable prices. We supply the very best quality cushion vinyl for your home. Thanks to a carefully considered collection of stunning designs, specially created for the UK, you can choose from a variety of woods and stones to tiles and mosaics. We specialise in bringing you stylish and realistic wood and stone effect luxury vinyl flooring in a wide range of colours and textures. Clean and affordable, as well as worry free, vinyl flooring is guaranteed to add a sparkle to your home. At Vince Mantle Flooring in Hereford we are proud to provide our customers with an extensive range wood and laminate flooring. Our range includes solid real wood flooring, engineered wood flooring and laminate flooring. 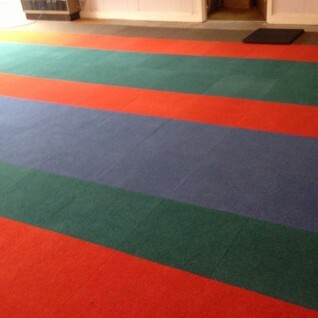 We supply carpet tiles from leading manufacturers offering the highest quality for commercial use in education, healthcare, hospitality, public and the leisure sectors. The robust construction of fibre bonded carpet tiles makes it ideal for school carpets, commercial offices, retail outlets and care environments, which are often areas of heavy wear and tear. We offer an extensive range of impervious safety non slip flooring products from major leaders in sustained slip resistance products. The safety flooring we supply is a resilient flooring that meets and exceeds international safety and hygiene standards. With a huge range of colours you can create contemporary or traditional interiors, which are designed to impress. 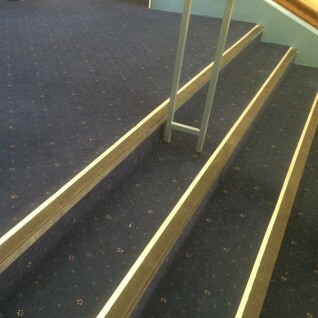 Entrance barrier matting is essential for any building to protect your floors from foot borne dirt and moisture. Entrance matting and bespoke logo mats give a great first impression which is why we provide commercial entrance mats to the highest quality to ensure your customers notice it as soon as they enter your business. 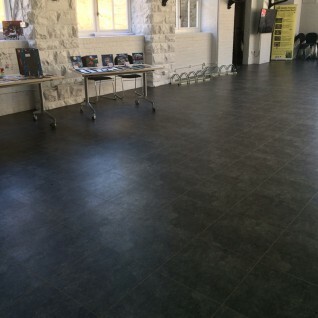 With decades of experience in floor preparation to the industrial and commercial flooring sector our aim is to specify and install a flooring system, which meets the individual requirements of the client and is installed to the highest industry standards, quality assured from initial enquiry through to after care of the finished floor.